Staying Healthy, Change for the Better and Coping with Illness. A new framework for health services with a patient led focus supported by the host of providers both in the public and private sector. One inspired by a focus on prevention with the tools and services to help people to stay healthy by connecting them to their communities of care and support, whether professional or not. 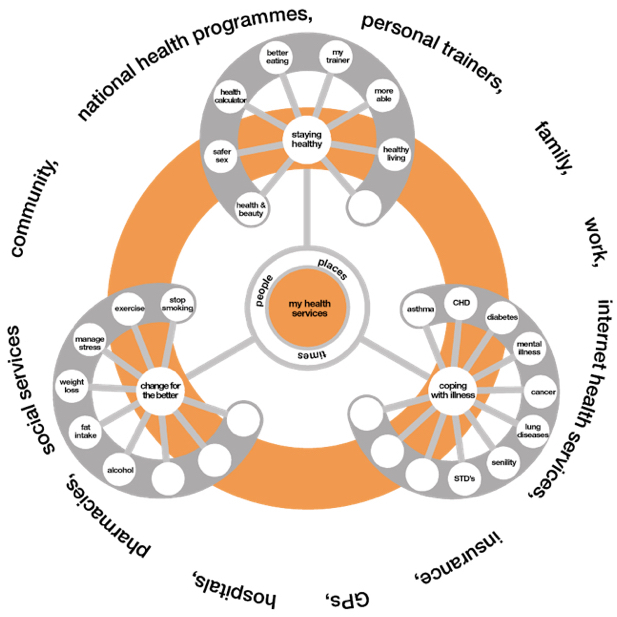 A framework for a digitally connected health service.